One of the constants here on the Baja, is sunshine, about 325 days a year we have bright beautiful sunny days. Last Saturday was just exactly that kind of day. 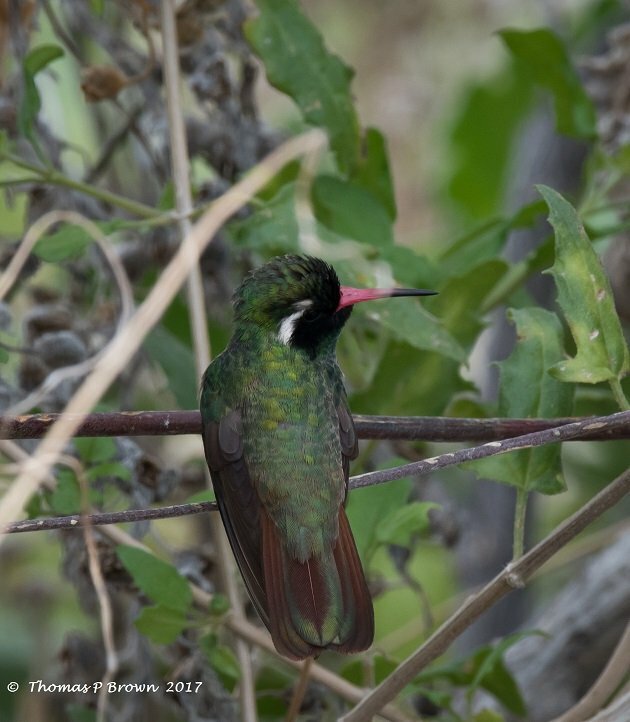 We loaded the truck and headed out to continue our exploration of the Sierra De La Laguna Biosphere. https://en.wikipedia.org/wiki/Sierra_de_la_Laguna. This large reserve has its namesake mountain range running right down the middle of it, and virtually no roads. 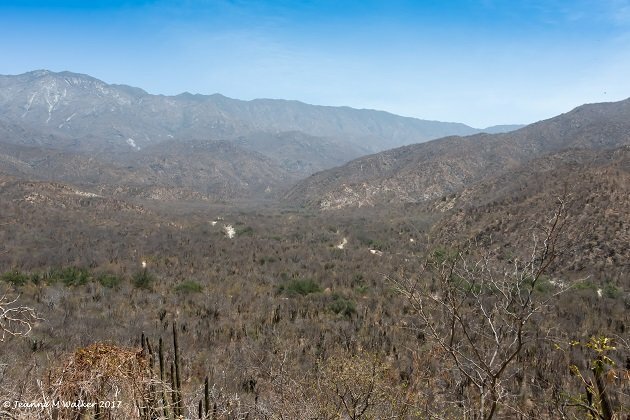 Our adventure started very near the northern most part of the reserve, near the city of Todos Santos. This is where we left the pavement and traveled a miserable wash-boarded road for 11 miles, to the Biosphere border, and a locked gate. 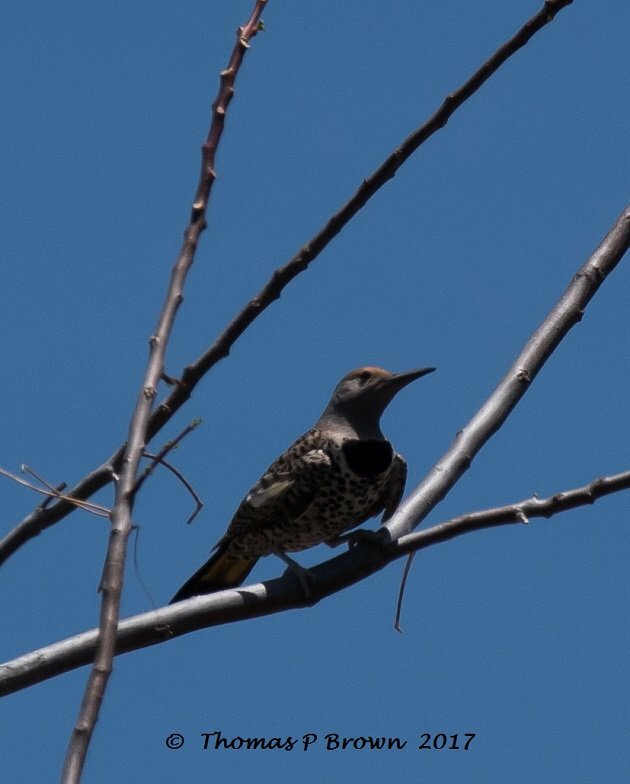 The trip out there was a bit underwhelming, with just a couple of Greater Roadrunners, a couple of Northern Cardinals, and a LOT of White-winged Doves. Things changed rapidly, as soon as we climbed out of the truck. Just above a near by ridge, two Golden Eagles were calling to each other, circling on the early morning currents and then, just like that they were gone. The Golden Eagle is not only the National Bird of Mexico, but considered very threatened. Depending on who you talk to, there are between 150 and 317 Golden Eagles in the entire country. 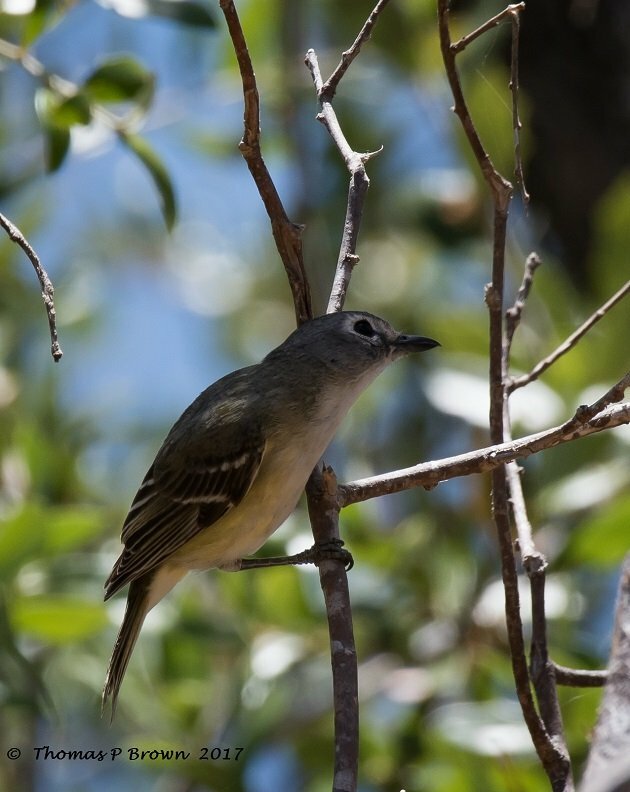 There was some big news here last year when it was confirmed that a nesting pair in the Sierra De La Laguna Biosphere had fledged two birds. 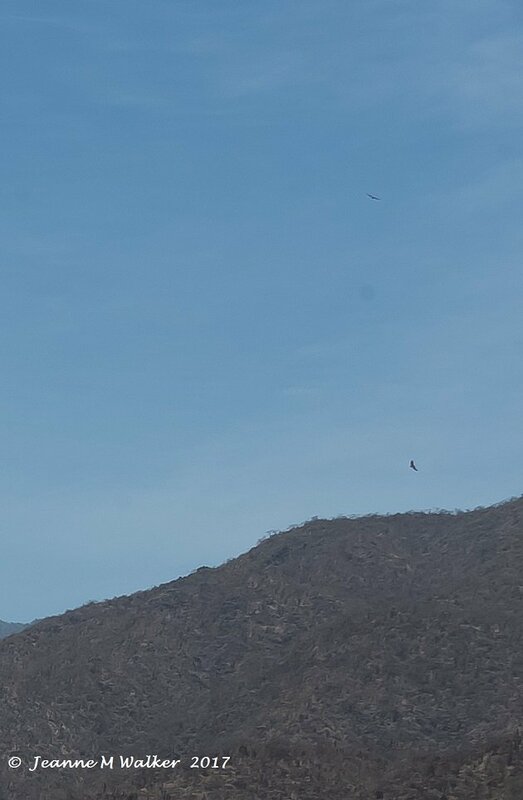 These were my first Golden Eagles here in Mexico. Unfortunately my camera gear was packed away for the bumpy ride, but my lovely wife managed to get this very distant, and quite cropped shot, just before they cleared the ridge. Here is a view of the view of the valley, just before we headed down in to explore. Looking down into the valley, I could see a really nice stand of mature Red Oak trees, and just knew they were going have a nice variety of birds getting some relief in the shade. I was not disappointed. 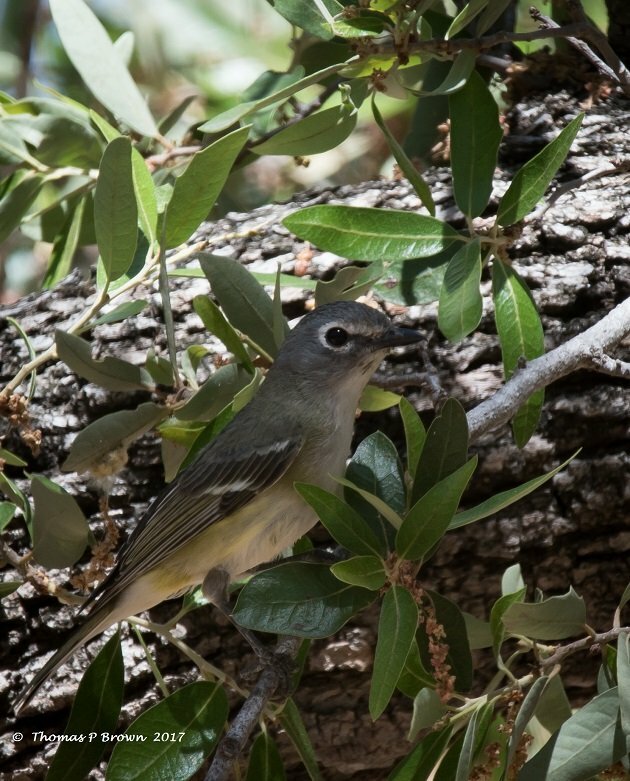 After the rather steep climb down, the very first birds I saw in these nearly 100 year old oaks, was a new lifer, a pair of Cassin’s Vireos. 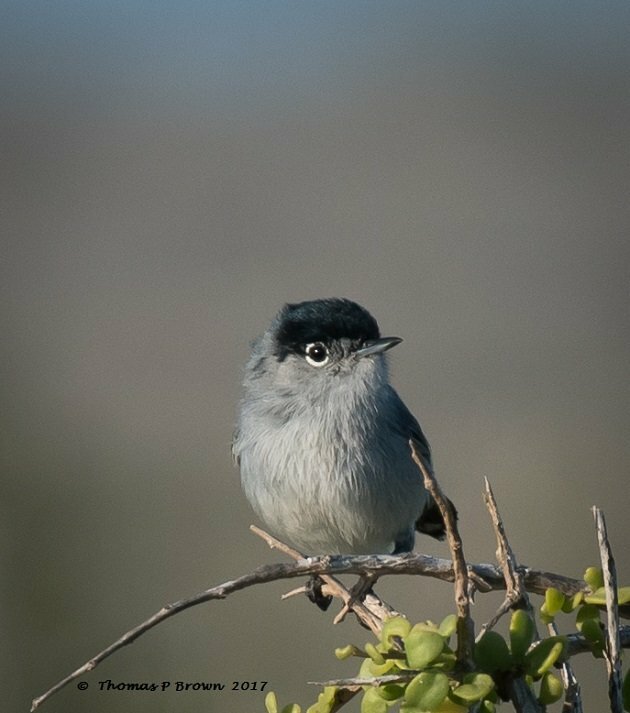 These lovely little birds hung around just long enough for me to get a couple of nice images. 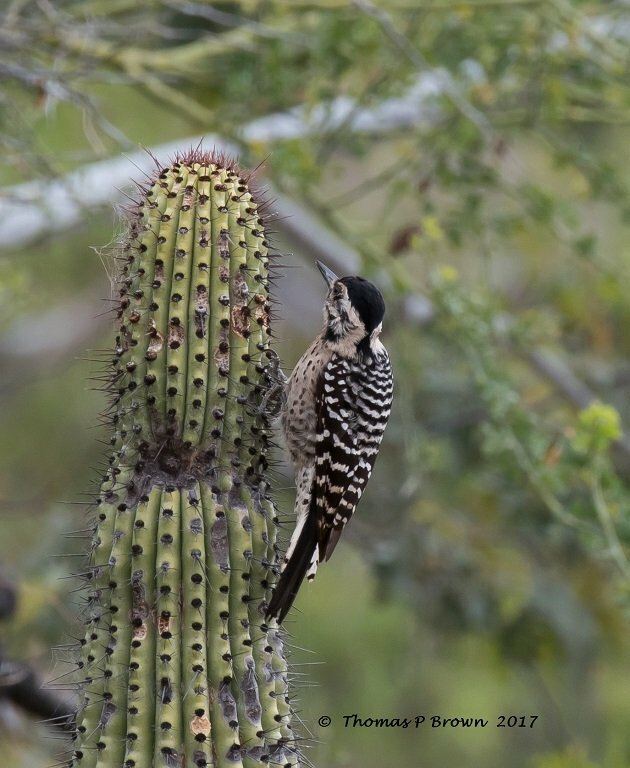 The Picidae family was well represented, with both Gila and Ladder-back woodpeckers, as well a pair of Gilded Flickers all spending some time in this oak grove. 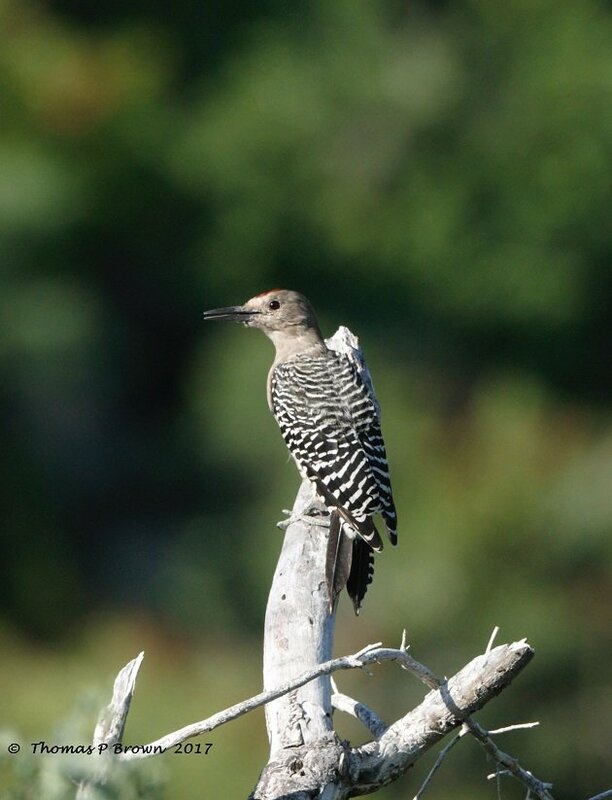 and I am afraid I could not get a better image of the Gilded Flickers, they just were not in a cooperative mood I guess. 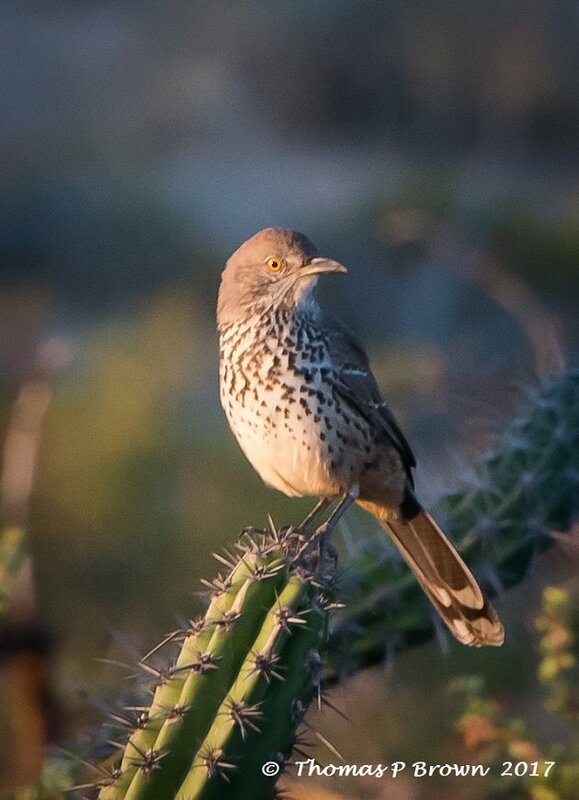 Two different endemics made an appearance, the Gray Thrasher, and the Xanthus’s Hummingbird. 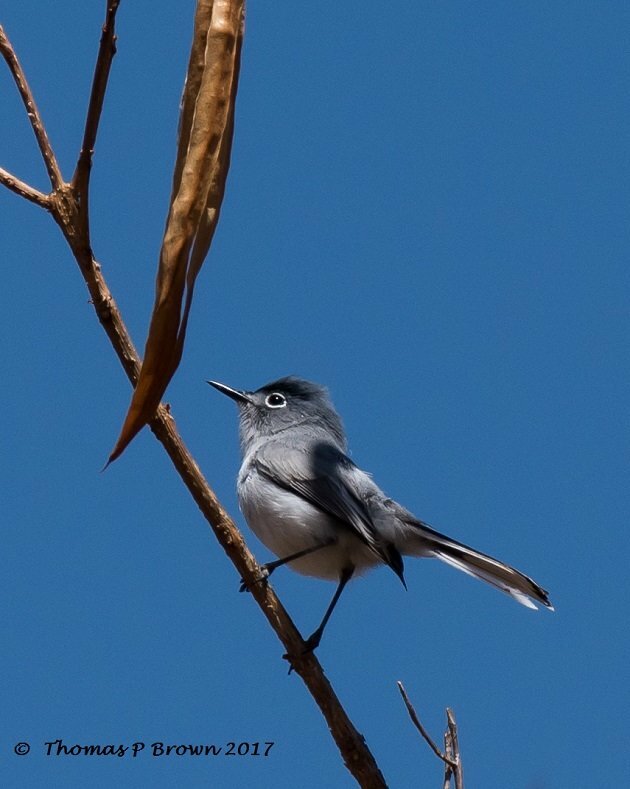 Both California and Blue-gray Gnatcatchers were busy fliting around the surrounding under-brush. 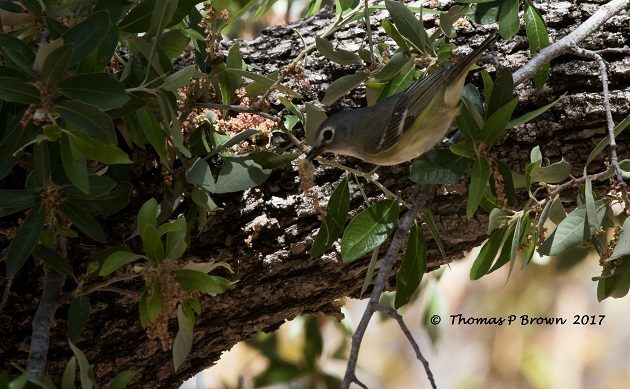 Some of the other residents of this area that I saw that day included Hooded and Scotts Orioles, California Scrub Jays, Northern Mockingbirds, Northern Cardinals, American Kestrels, and some Black-throated Sparrows. 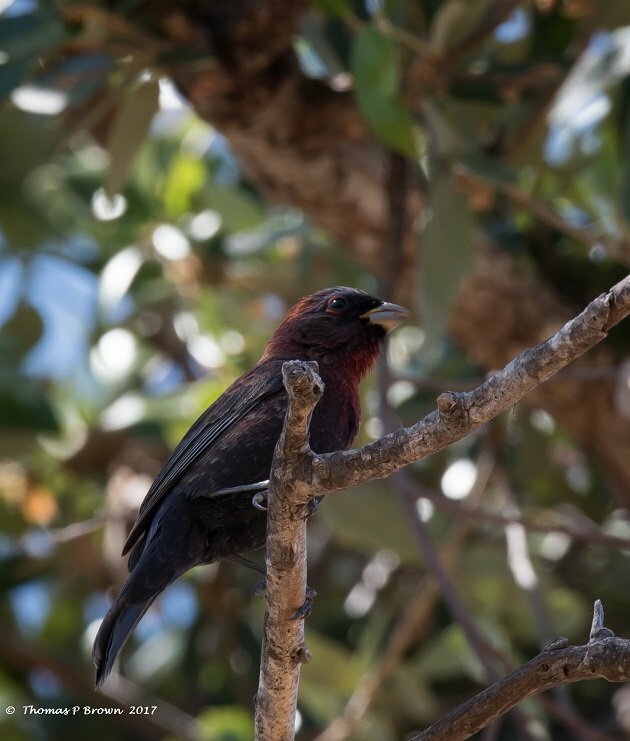 Then, just as I began to pack my gear and begin the trudge back up the ridge, right over my head, a beautiful male Varied Bunting flew in, I am sure, just to say goodbye, for now!